I have decided to do a little mini-series of blog posts on questions that I typically get from brides and grooms. So needless to say (as can be seen from the title of this post), one of the most significant things to know about a photographer is his/her style. To address that, we will have to go back a number of years, before I made a living out of photographing weddings. So back when I first got a compact camera from my sister (it was a Panasonic Lumix, if you really wanted to know), I took it with me everywhere I went. Excursions, family holidays, trips to the supermarket and so on.. I would just click and click when I had the chance to, because gone were the days where each photo actually cost money to develop. I would take pictures of shop owners, cats and dogs on the streets, my own family, and my favourite was photographing people who had no idea I was even there. Okay not to sound creepy but I did find some artistic value in that even though I had not realised that photography is a form of art at that time. Fast forward about ten years and I bought a much better camera that came with manual settings, and I would do the same thing but with a better eye for details and beauty. I never saw myself as a authoritative enough to direct people in photographs, I just took them the way I knew how. This gave me lots of practise in finding ways to make nice pictures of people even though they were not smiling at the camera, which honed my skills in being photojournalistic during weddings. 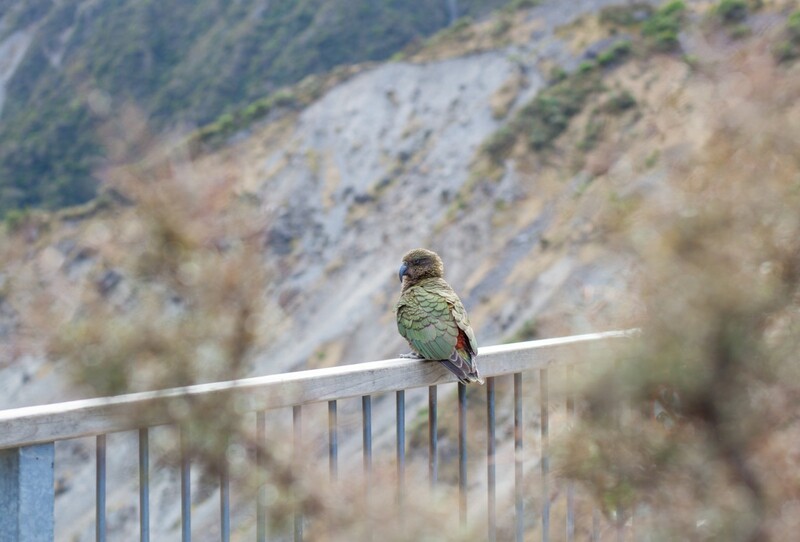 I was admiring the view along Arthur’s Pass and noticed this little guy doing the same. Then when I came over to New Zealand four years ago, things started to change. I loved the landscapes here (who wouldn’t right?) and began dabbling in photographing landscapes. By this time I have upgraded my gear of choice. Things were going good and I photographed lakes, the milky way, star trails, and Keas to name a few, but felt that something was still missing. I was missing the connection to my subject. Which led me to begin photographing models, and this was when I learned a ton about posing people in front of the lens and how to make them look flattering too. Phew that was a long one, good on you for sticking around till now. To bring things to a close, I do find myself having a mixed style of being photojournalistic when things are going on around me, but I have no qualms about stepping up and providing direction when they are required (especially for portrait sessions), and when I see an opportune moment I love to capture similar shots in unique angles and perspectives. There, that sums it up pretty well. I will be addressing other points soon so keep an eye out for them 🙂 Oh and if you missed my previous post about engagement shoots, you can read it here!